Lava Mobiles is a company that has always focused on start up low cost phones. The company has not gone beyond those handsets and has gained a lot of popularity. 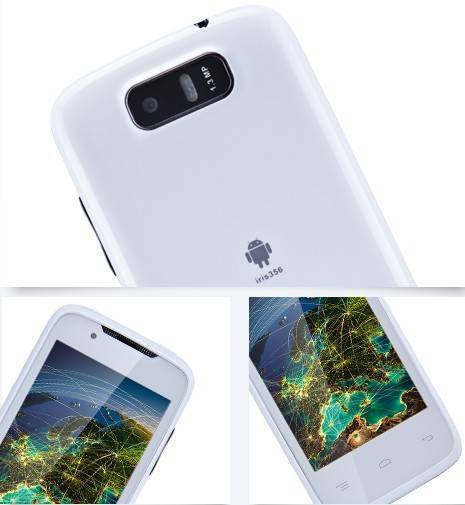 After every few days a new handset is launched from the company in the mobile markets. The company doesn't focus on large launch parties and their phones enter the markets silently. But this phone Lava Iris 356 was noticed by an online mobile news website. The phone has been launched by the company and in the coming days the phone would reach out to the buyers as per the information available from the company. All those who don't want to many features or complex functions can also buy this handset. Lava Iris 356 Price is Rs 4,499 which is not too high. Everyone who wants to buy a low cost start up phone can buy this handset. Lava Iris 356 features show that the phone is powered by a 1500 mAh battery. The battery backup is great is much better than many handsets. As per the information available 200 hours of standby time is delivered by the phone. But if you talk on the phone too much then 300 minutes of talktime is available. For those who want to use the handset for clicking pictures then the main camera can be used. Users can also use the front camera to click self shots and video calling. This camera has a LED flash even though the price is low and the phone falls under the start-up category. Once you have clicked pictures with the cameras then they can be uploaded to various social networking websites. To connect to the internet use the GPRS, EDGE and 3G internet connection. The internet is a large space where users would be able to download many files. But it is necessary that there is space in the phone where these music files could be stored. In this handset 512MB internal storage is available. If you run out of this memory then users can count on the microSD card slot. Just insert a microSD card and the work is done. But if you want to share pictures that are stored in the mobile phone then turn on the Bluetooth of the device. The very popular wi-fi internet is also present where users don't have to worry about the wiring or device to connect to the internet. Lava Iris 356 pictures show a handset with simple design and structure and considering the previous successful models and to increase its market value this manufacturer has launched its latest flagship device in its Iris line up, which is dubbed as Lava Iris 504Q with some new good features.